At MMS Buiding Contractor Network, we are flood restoration experts. Therefore, we know better than anyone how much it costs to repair a property after it has suffered from a flood. For example, did you know that there were 5000 properties that were damaged by flooding last year and that on average, every damaged home suffered around £200,000 worth of damages? 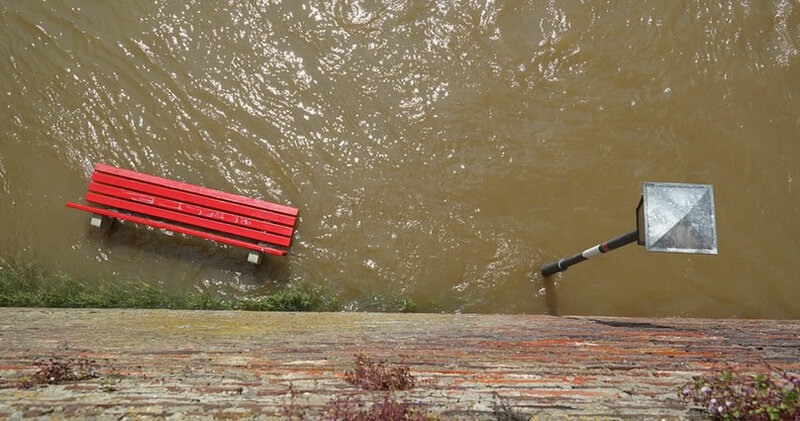 This guide will help you to adapt your home to be more flood-proof, and also to reduce the cost of damages if you were to suffer from a flood at your property. Shelves – Have shelving fitted into your property at height, and place any valuable items on the highly mounted shelves to keep them out of the water. Home Entertainment Technology – Have any televisions or sound devices mounted on the wall instead of on units that are close to ground level. Flood Pumps – Specialist flood pumps can be installed into an underfloor void to extract flood water, if a flood were to occur at your property. Skirting – You can purchase water resistant and/or varnished skirting boards that are protected against damage during a flood. Electrical Appliances – Raise any electrical sockets at least 1 metre above the floor level in your property to reduce the risk of damage. Walls – When decorating your property, use lime based plaster as the damage from flood water is reduced compared to standard plaster. Also, add a drainage system into any cavity walls in your property. Kitchens and Bathrooms – When building or fitting your kitchen and bathroom in your premises use steel, plastic or solid wood for furniture and fittings. Windows and Doors – When fitting window frames and doors in your property, use synthetic or waxed materials as these will resist water better. Flooring – Use tiles instead of carpet for the flooring in your property if possible, as tiles are easier to repair and clean. If you take up the advice about flood damage cost prevention above at your property, if you did suffer from a flood the amount of damage and cost of repair would be dramatically reduced. Furthermore, the flood damage restoration required would be reduced drastically, and therefore you could be back to normal a lot quicker than if you didn’t adapt your home. Finally, if you do need help with flood damage restoration at your property, contact our restoration experts at MMS Buidling Contractor Network today.